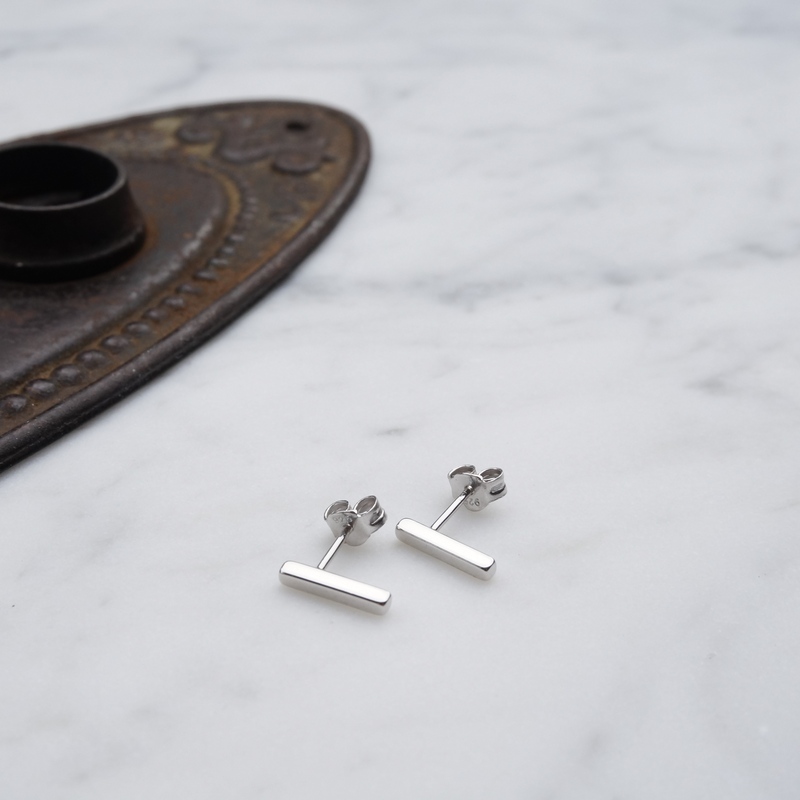 Gorgeous sterling silver bar stud earrings. 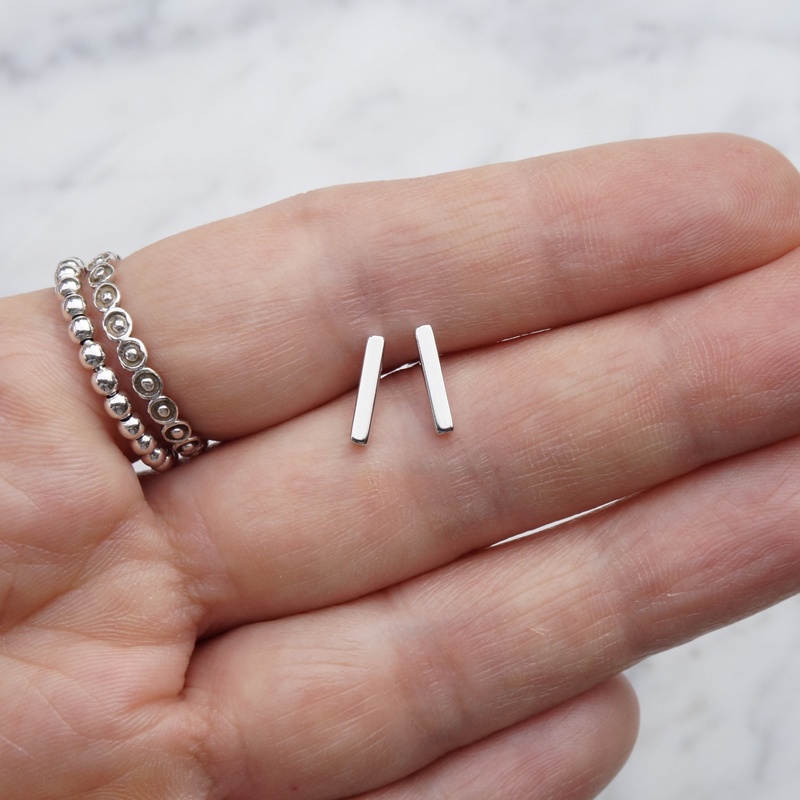 Simple and sleek post earrings with clean and structural lines. 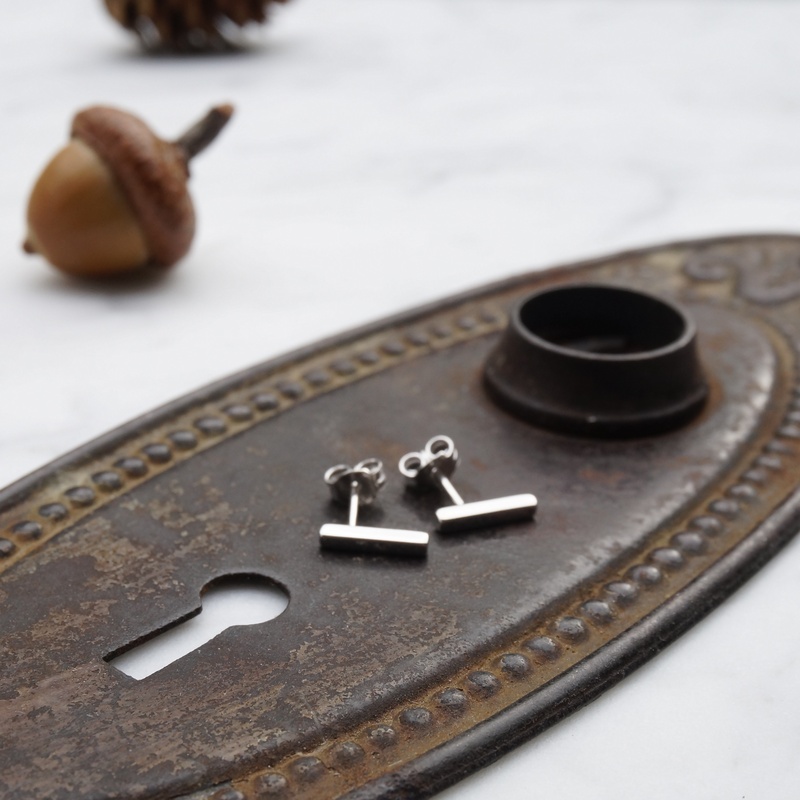 These earrings are perfect for everyday, and add a modern touch to your look. 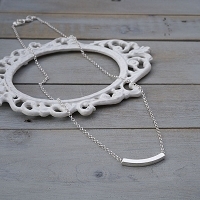 • all components are sterling silver: the post and the included butterfly backs are all sterling silver.